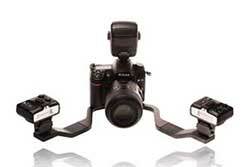 We've been offering our unique Closeup Attachment Kit for Canon G-Series cameras for many years and they have been some of our most popular cameras. Canon stopped including an accessory bayonet mount after the G16 so it looked like that model would be the last camera we could "retrofit". 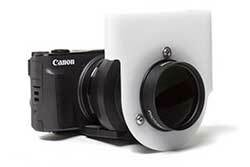 Well, our crafty engineers have designed a new magnetic attachment and the new Canon SX730 is the first camera to work with it. the Axis Bracket is designed to be used with the white_balance Gray Reference Card Set in dental photography in order to develop a robust workflow for shade estimation. The polar_eyes Cross Polarization Filter has been very popular since its introduction and we will soon have a version for the Nissin MF18 macro flash. If you would like us to contact you when the Nissin MF18 version is available, please contact us here. 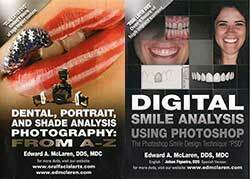 Dr. Edward McLaren's Photography and Digital Smile Design DVDs are on sale! 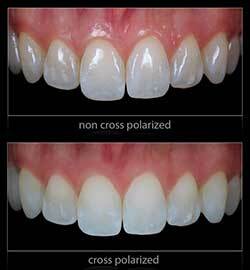 Save $20 on the Dental Photography DVD and $40 on the DSD DVD. Purchase both and save even more!